Centuria Corporation, a Service-Disabled Veteran-Owned Small Business and leading prime contractor of engineering and scientific services, software development lifecycle, program management and complex administrative support, announced that Ken Bianchi is the company’s next Chief Financial Officer. In his role as CFO, Bianchi will be in charge of leading the financial strategy, planning and reporting of the rapidly growing company. With over 20 years of experience developing and executing financial strategies for companies, Bianchi is a great asset to Centuria. 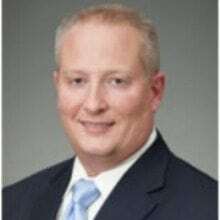 He has held C-suite financial positions with a number of services firms including CPA Global, ACS Transportation Solutions, and AT&T Government Solutions.